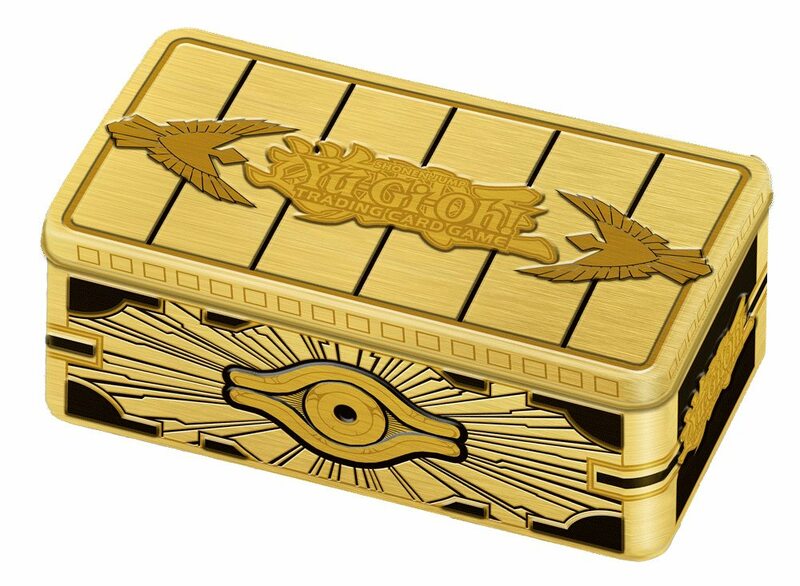 Launching Friday, August 30, the 2019 Gold Sarcophagus Tin is fashioned after the iconic Gold Sarcophagus and is designed to reduce the amount of wear and tear sustained by the cards you keep in it. · 2 cards (from a set of 6 new cards) with art by Kazuki Takahashi, the creator of Yu-Gi-Oh! · 2 cards (from a set of 5 cards) from the original Yu-Gi-Oh! animated series, which includes the 3 Egyptian God Cards with art by Kazuki Takahashi. · 1 of 3 new World Premiere cards designed to be usable in any Deck, and help you stage a comeback against some of the fastest strategies that might come from your opponent. One card prevents Graveyard dumping, another punishes your opponent if they Summoned too many monsters, and the third gives you a reprieve if they set up a monstrously large field on their first turn.